ROAM Gallery Welcomes "We Are Family"
ROAM Gallery is very pleased to welcome "It's A Family Affair" with Canuck the infamous Vancouver Crow. 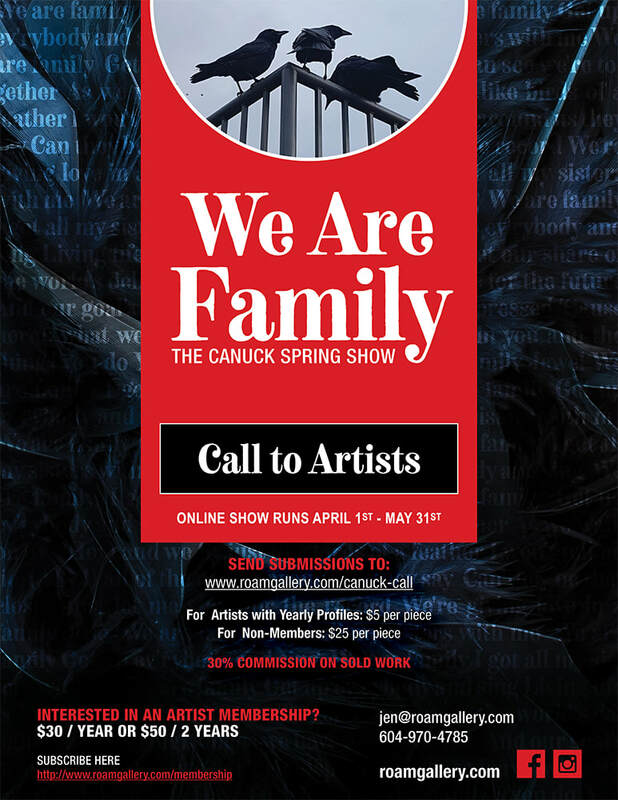 We are taking submissions for all mediums and from all over the globe. All Crow / Raven themes welcome!